A low-calorie option for quiche-lovers. In my opinion there is not much to recommend it if one is not dieting. Sauté vegetables and herbs in oil until tender. Squeeze tofu in a dry towel to remove excess moisture. Cut into small chunks. Combine tofu, cheese, milk and egg with sautéed vegetables and herbs. 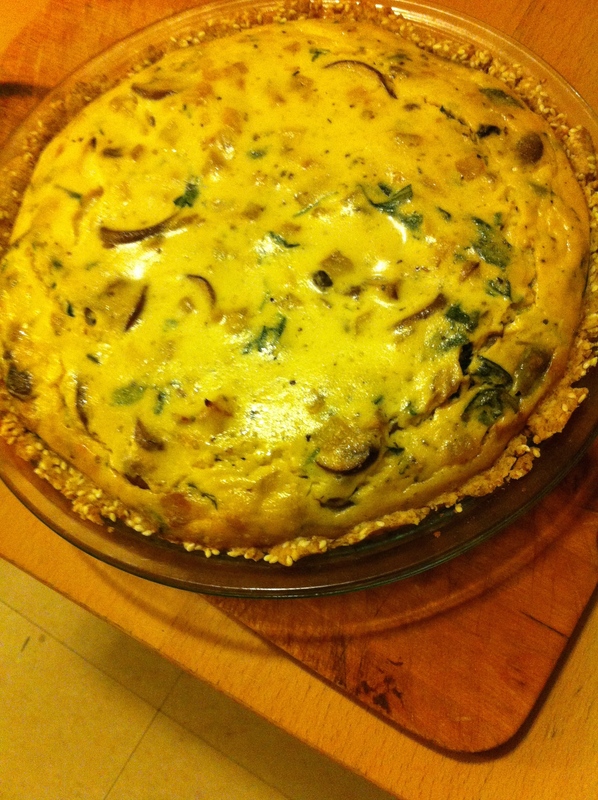 This entry was posted in Cheese, Dairy Products, Pies & Quiches, tofu, vegan pantry and tagged Cheese, Diet for a Small Planet, evaporated milk, mushrooms, Spinach, tofu, Zucchini by gluadys. Bookmark the permalink.